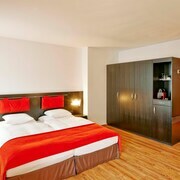 Super nice staff, very clean rooms, very quite, location was great for walking the town. This was the perfect hotel for our first visit to Lichtenstein. Tucked away in the southern region just 15 min from Vaduz it is super quite and very romantic location with breathtaking views! The bed was a little hard, but other than that, 5 stars all the way. Made the start to our 25th anniversary week a huge success! The staff are superb! Very welcoming and approachable people! I should like to thank you ladies who worked in the restaurant in the evenings for their professionalism and help. My room was spacious and well equipped and the breakfast was very good too. The hotel is also handy for buses to local towns and villages. Where to find Grabs hotels near an airport? Where can I find hotels in Grabs that are near tourist attractions? Visiting St. Gallen? Would you prefer to reserve accommodation near to the downtown part of Grabs? About 5 hotels and apartments can be found within easy driving distance of the center of Grabs. 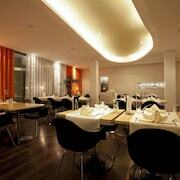 The Hirschen Swiss Quality Hotel is the closest hotel to the middle of Grabs and is merely a quick drive away. Check out the Grand Resort Bad Ragaz and also the Parkhotel Sonnenhof. 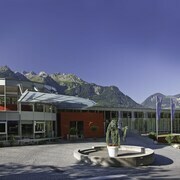 The Grand Resort Bad Ragaz is situated 20 kilometres (13 miles) away from the center of Grabs. 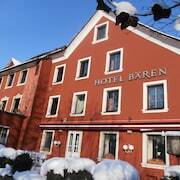 The Parkhotel Sonnenhof, is 10 kilometres (6 miles) away. 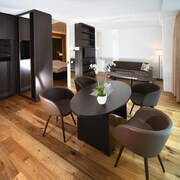 Another possibility is to book a room at the Residence Hotel or the Hotel Säntispark. Wildhaus is 5 kilometres (3 miles) to the northwest of Grabs and is home to the Wildhaus-Gampluet Cable Car and Toggenburg Sound East Trailhead. The Saentis and Hotel Sternen are some of the Expedia-recommended hotel options in Wildhaus. 18 kilometres (11 miles) to the south of Grabs, you may also choose to stay at Vilters-Wangs, home to the Hotel Post and Berghotel Alpina. The Pizol Wangs Cable Car and Seilbahn Pizol Wangs are a couple of the more popular sites to check out while in Vilters-Wangs. If you enjoy sports and enjoy watching games you could take a trip to AFG Arena, which is 30 kilometres (17 miles) to the north of Grabs. 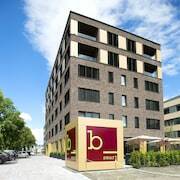 Those wishing to find a room or apartment near to the action can choose from the Sporting Hotel or the Landgasthof Säntisblick. St. Gallen - Altenrhein Airport is situated 35 kilometres (23 miles) from Grabs. Visitors who choose to stay close by, can easily secure a room via Expedia at the Hotel Heiden Swiss Quality or Best Western Hotel Rebstock. 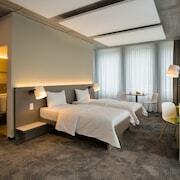 What are the most popular Grabs hotels? Are there hotels in other cities near Grabs? What other types of accommodations are available in Grabs? Explore Grabs with Expedia.ca’s Travel Guides to find the best flights, cars, holiday packages and more!